About one in four drivers involved in a crash in recent months around the country were using a smartphone within one minute before the accident occurred, according to a new analysis of data from hundreds of thousands of drivers’ phones. “I find that to be pretty scary,” said Sam Madden, founder and chief scientist at Cambridge Mobile Telematics, which announced its findings Monday. “It may not be a super surprising, but still disturbing, trend: That people are using their phones a lot, and that’s playing a role in the accidents,” added Madden, who is also a computer science professor at MIT. The company’s research also found that significant phone distraction occurred on nearly one-third of trips, regardless of whether they ended in an accident, and that significant distraction lasting more than one minute occurred on about one in every 10 trips. On trips in which significant phone distraction occurred, 29 percent of the distraction occurred at speeds over 56 miles per hour. Drivers may have been distracted by their phones as they sat in traffic in these heavily congested areas. “One of the things that’s so frightening about distraction is you think you’re just looking down for a second, but when you do that you lose the awareness of cars and everything else around you, and after you look back up it takes quite a few seconds to reorient yourself,” Madden said. The findings, released to coincide with the start of Distracted Driving Awareness Month, come on the heels of national studies that say phone distraction is a significant factor behind why roads have become increasingly deadly in recent years for drivers, passengers, and pedestrians. The company collected the data over about the past 18 months — and tracked about 1,000 accidents in the process — via software it developed that is installed on a few hundred thousand smartphones nationwide, Madden said. Some drivers download the software directly from the company, in the form of a smartphone app called DriveWell. But most install the software on their phones via apps offered by various insurance companies that have bought access to CMT’s technology. Apps may be customized to look and function differently depending on the insurer, but all of the variations include technology that tracks when, where, for how long, and at what speeds people use the phones while driving, he said. That data get submitted back to insurers, some of which offer policy discounts or other incentives to users who are recorded by the app as driving safely. CMT also gets anonymized data so it can study people’s driving habits, Madden said. The app needs to be installed, but doesn’t need to be running to collect data, he said. The technology uses sensitive sensors built into today’s smartphones to tell whether the phone is being used and even if it’s being held at certain angles and manipulated in certain ways that suggests a driver — as opposed to a passenger — is using the device. He said that for the purposes of the analysis, the company only considered a driver to be distracted by their phone if they were using the device while traveling at speeds greater than about 9 miles per hour. So, for example, texting while driving at a complete stop or even very low speeds wouldn’t have counted. And if devices were in use but stationary, as in a mount, they didn’t figure in the analysis. Madden said that as alarming as the company’s findings are, the results may underestimate how widespread and problematic phone distraction is among drivers because the study did not consider cases like distraction at low speeds or for mounted devices, and because it cannot account for people who use older phones and other devices that can’t support the apps. 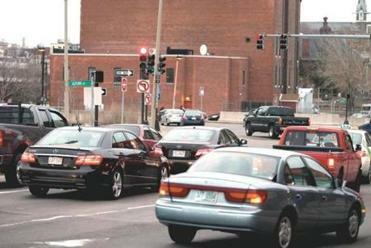 In a previous analysis, the company’s data showed that drivers in Massachusetts were distracted for between four and five minutes for every 100 miles they drove, on average, which ranked in toward the bottom when compared with other states. That analysis also found that states with laws restricting phone use while driving had only slightly lower distraction times than states without such rules. 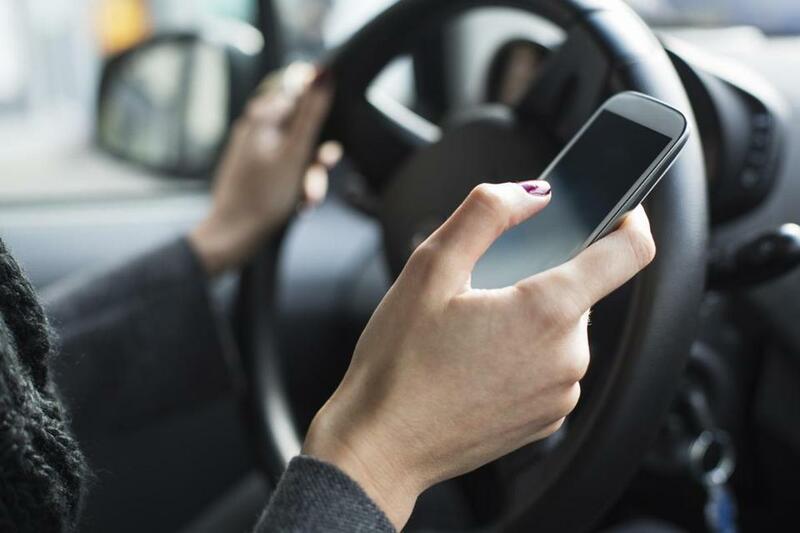 Massachusetts has banned texting while driving since the fall of 2010, and an increasing number of drivers have been ticketed for violating that law in the years since. But it can be a challenge for police to catch drivers and to tell if they are texting as opposed to making a call. And the increased enforcement hasn’t stopped many drivers from reaching for their phones. Madden said his company believes it has found at least one way to help curb phone use. The apps the company helps build not only send data back for research purposes, but also they give feedback to users about how well they’ve been driving, issuing them a rating for each trip, an overall score, and allowing them to see how their performance compare with that of other drivers. “Most people will reduce their bad driving behavior with this app within about 30 days of using it,” Madden said.